The Forces Pension Society are proud to be associated with the launch of a new programme offering training in business skills to service widows and dependents. 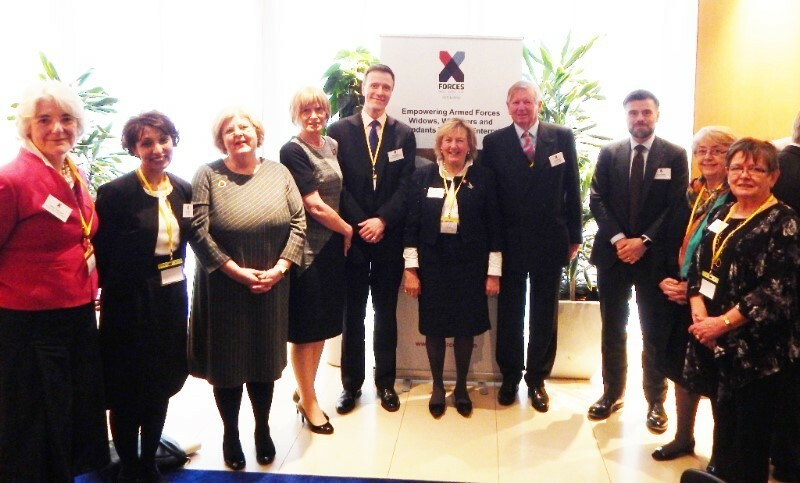 X-Forces Enteprise (XFE) and the Forces Pension Society Charitable Fund (FPSCF) were joined by guests at the Natwest London Office for the launch of their bespoke four-day Enterprise Discovery and Business Skills course for Armed Forces Widows, Widowers and their dependants. This looks likely to be an imaginative scheme offering practical help to widows who wish to learn important new skills. The launch, which was hosted by Natwest at their offices in London, brought together representatives from the four Widows Associations (War Widows, Royal Navy and Royal Marines Widows, Army Widows and Royal Airforces Widows Associations) who were engaged by X-Forces Enterprise to ensure the success of this exciting project, as well as X-Forces Enterprise supporters from teh MOD, Government, Charities and Corporates. X-Forces Enterprise (XFE), an award winning business support initiative, is the leading organisation for enterprise in the Armed Forces community. In the past four years, they have supported over 1,100 community members in starting and scaling up their own businesses and thousands more through training, events, funding and mentoring. In October 2017, X-Forces Enterprise put forward a proposal to the FPSCF to support service widows, widowers and their dependants in developing their enterprise skills for employment, building confidence and building a network. XFE understands that it is important for widows and their family members to rebuild their lives when they are ready; giving them confidence, a renewed sense of purpose and building financial independence. They will now support them through the bespoke course which will not only cultivate the enterprise skills needed for employment and self-employment, but will also, more crucially, help the widows and widowers communities and their dependants to build confidence in their abilities. It will also provide a support network for them to lean on.